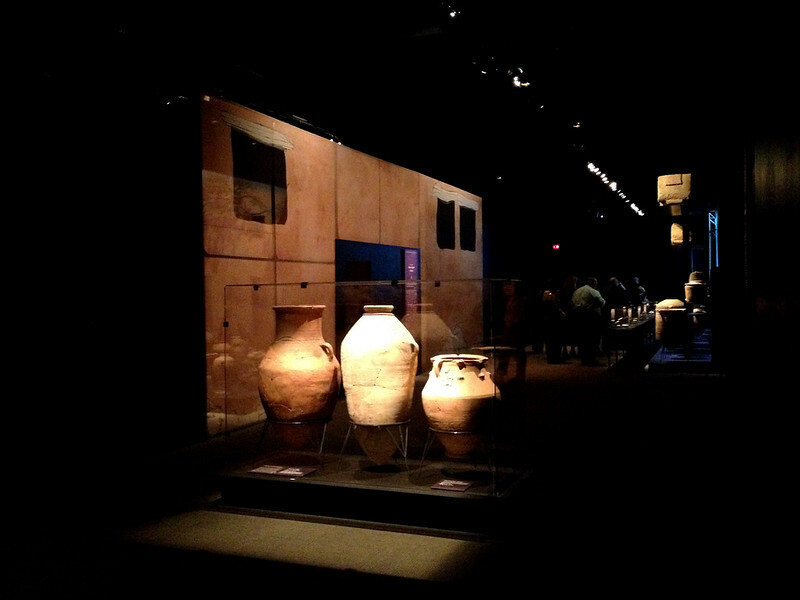 With rain predicted for the entire weekend, it's perfect weather to check out Cincinnati Museum Center's latest exhibit: Dead Sea Scrolls. Discovered in 1947 by a sheep herder, the Dead Sea Scrolls were found preserved in clay pots inside a cave located near the First Temple in Jerusalem. A total of 972 scrolls were hidden some 2,000 years ago during the time period when Romans conquered Jerusalem. The scrolls are believed to be the earliest existing documents of the Old Testament. 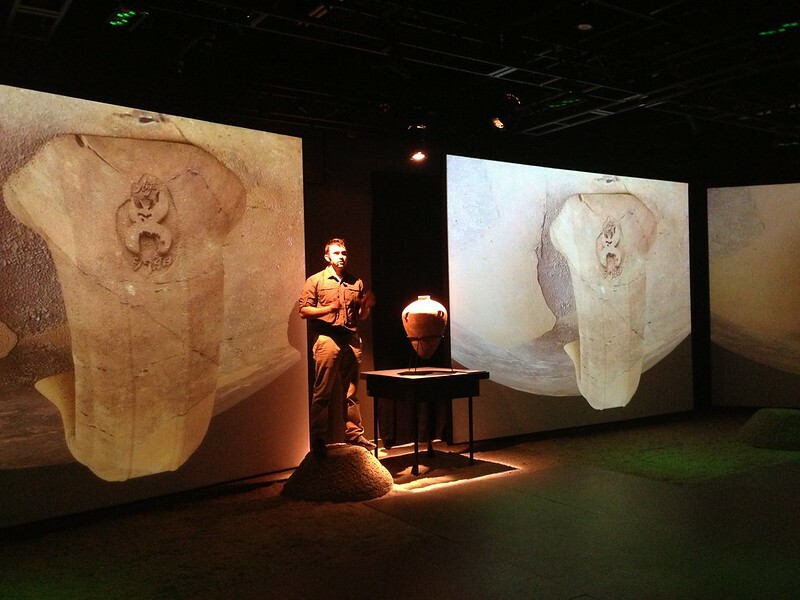 Projection of Dead Sea Scrolls and the clay pot they were found in. 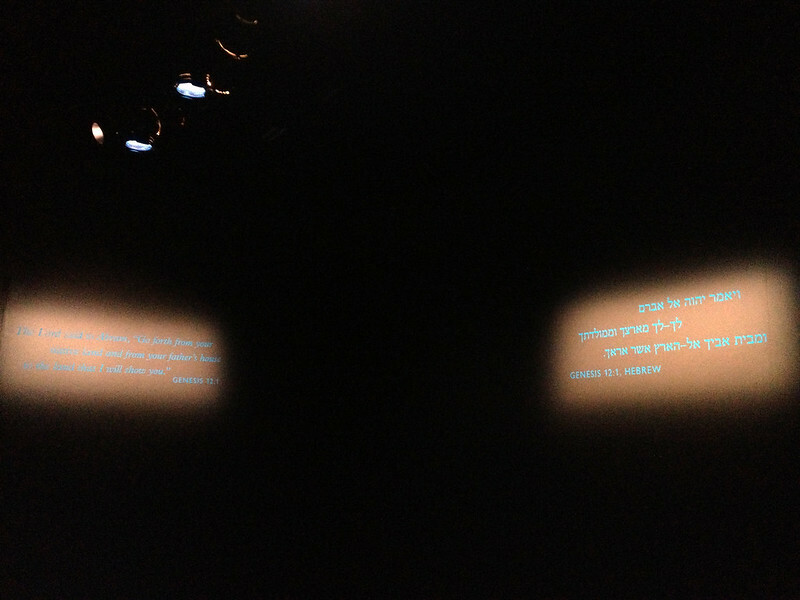 Visitors enter the exhibit to be immersed in a dark room with illuminated quotes and a short reading from the Torah. 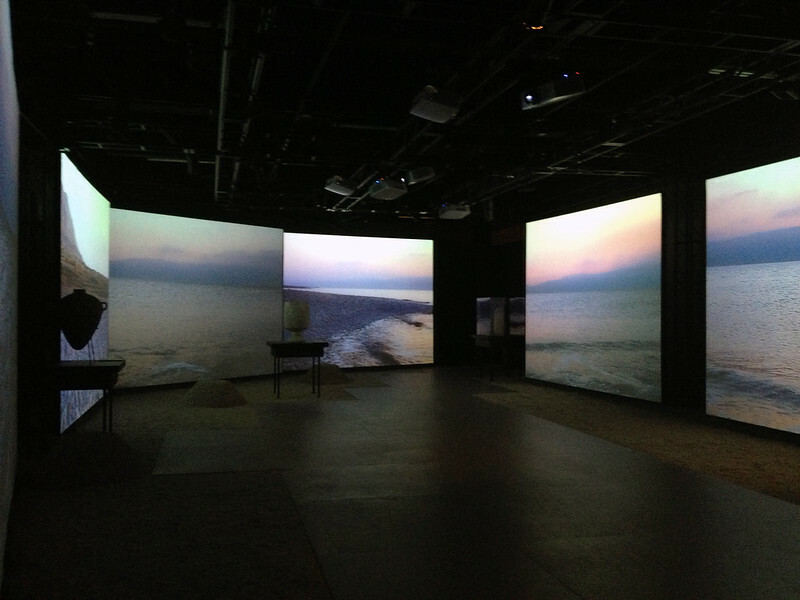 Next, they step foot into a room in which every wall is a movie screen, projecting a 360º motion picture of the Dead Sea region. 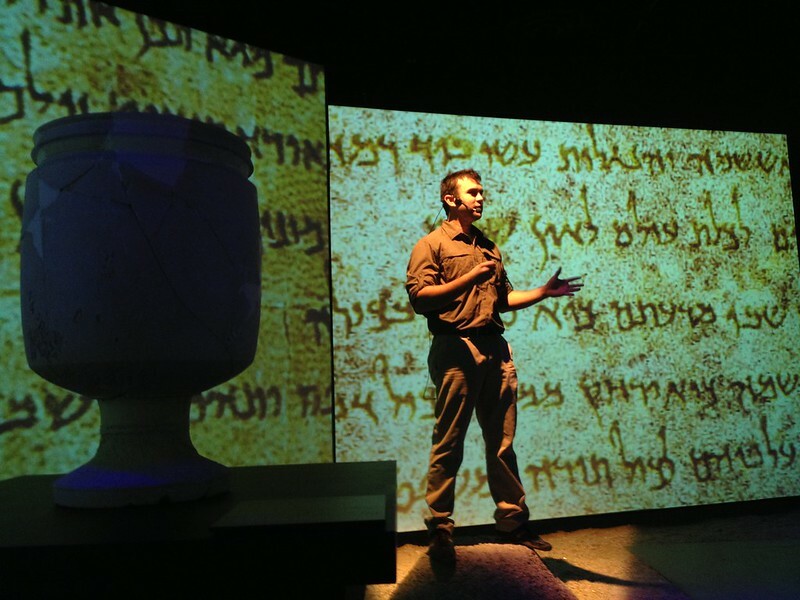 Guests are then greeted by a live storyteller dressed in archaeological attire, who summarizes the Dead Sea Scrolls and other artifacts on display. Around the corner, we began traveling along a glowing timeline taking us from present date to the time of the scrolls, 2,000 years ago. 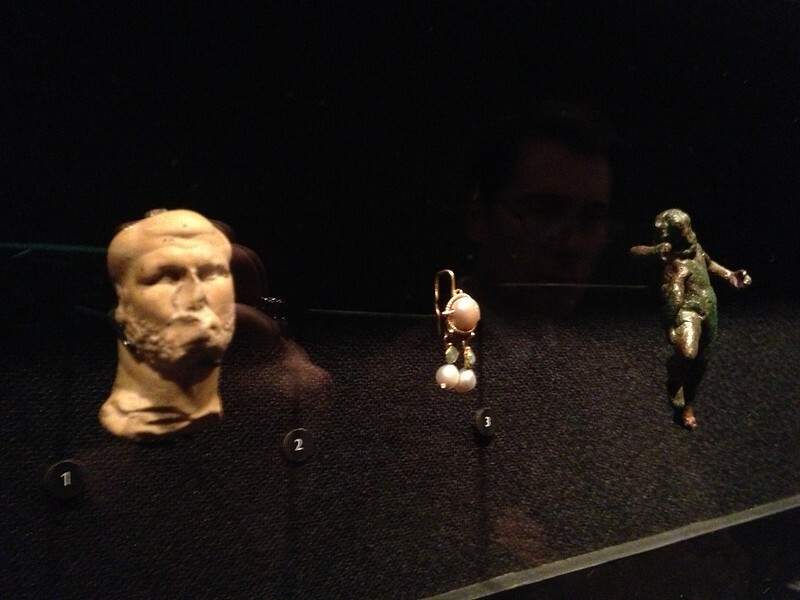 With each step, Middle Eastern artifacts were displayed in a case at eye-level from inkwells, scales and weights, to a miniature Prometheus figurine dating back to 70 A.D. 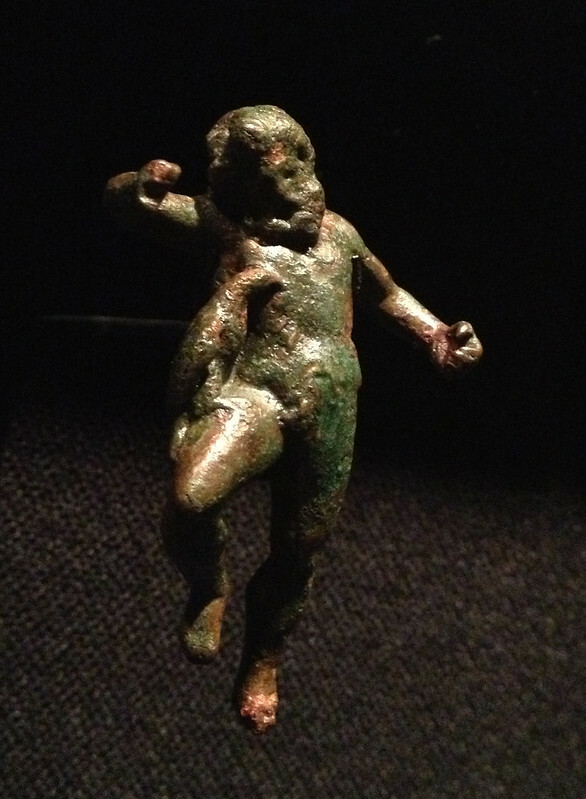 Bronze Prometheus figurine 70 A.D. 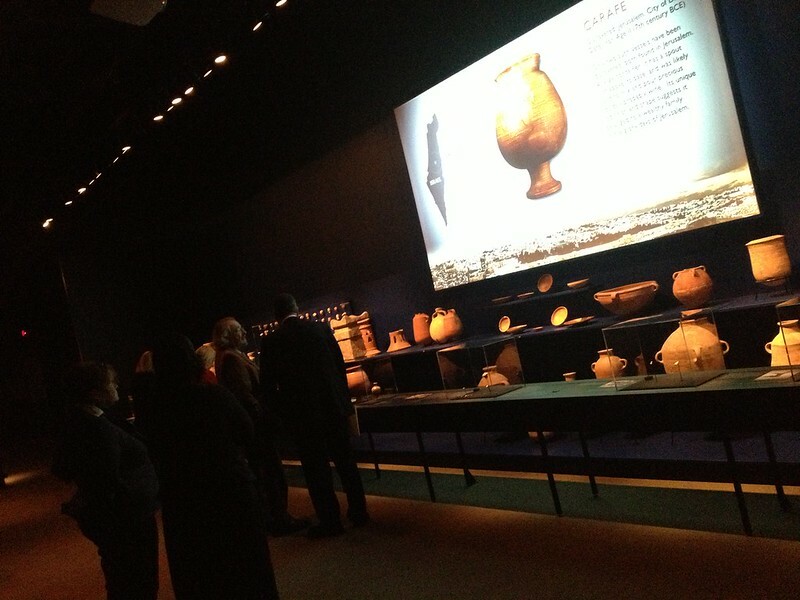 The adjoining room featured a collection of clay pots from 1200 - 1000 B.C. 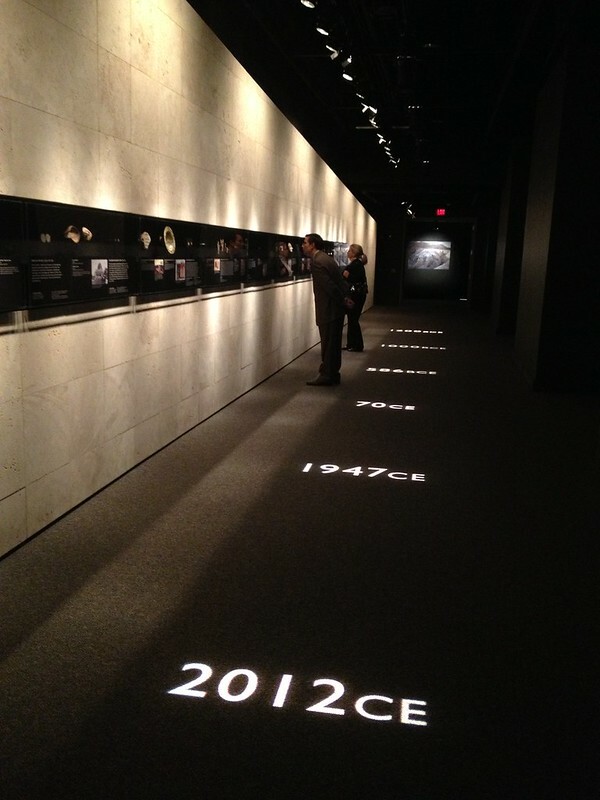 I was intrigued by the digital devices inside the climate controlled casings, keeping the artifacts preserved at a precise 20º Celsius and at 50% humidity. 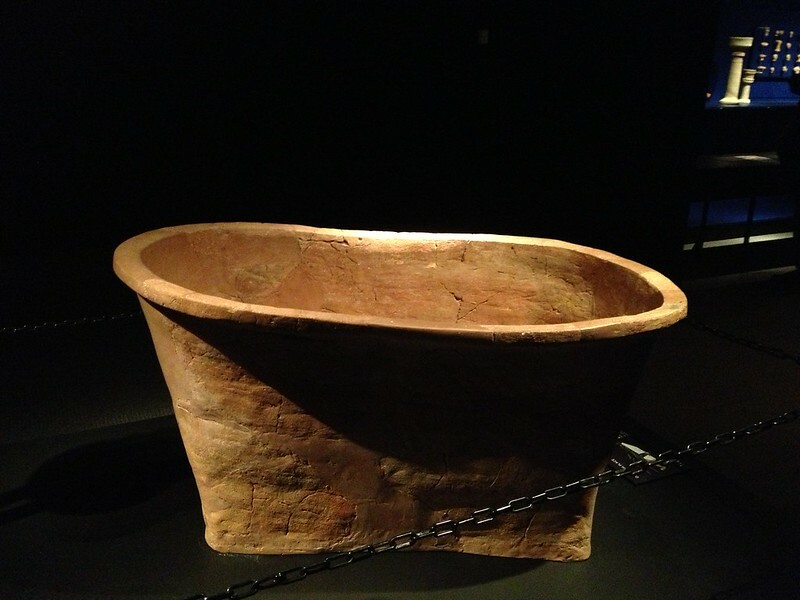 Terracotta bathtub found in the sacred town of Dan, from 9 B.C. Bronze plaque of the Menorah from 325-638 A.D.
Linen found in the Qumran Cave from 1 A.D.
Comb and sandals from 1 A.D.
Walnuts and Pomegranates from 1 A.D. 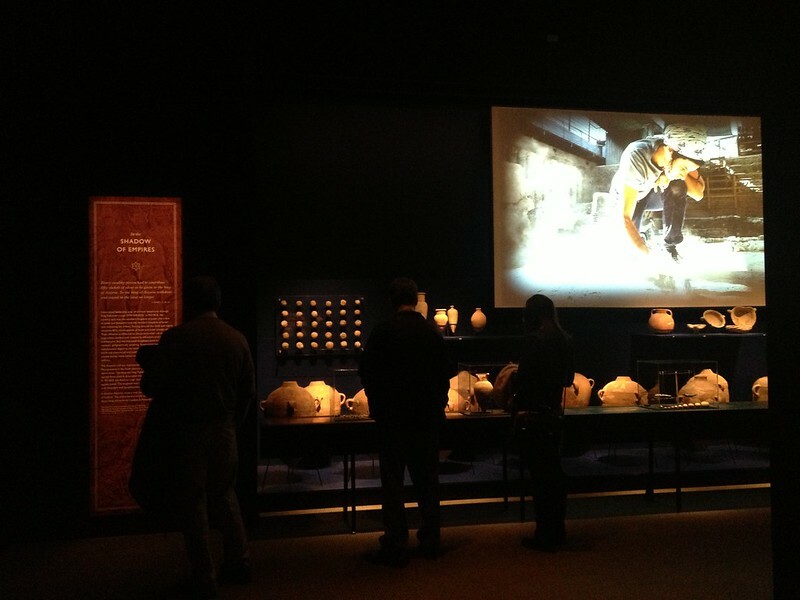 Entering the Dead Sea Scrolls room. 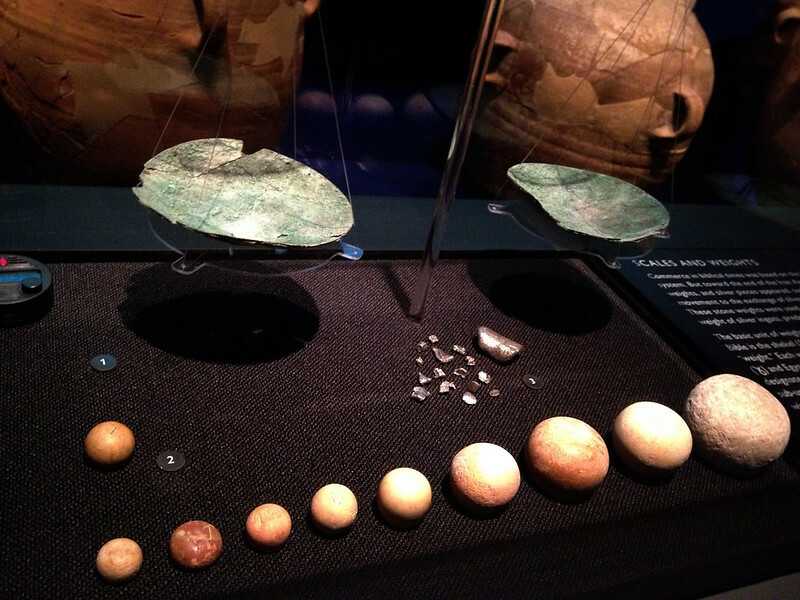 With several aisles of displays to see, most dating back to the year 1 A.D., I was impressed and amazed at how well these items had been preserved through time - and sitting in a cave nonetheless! Most importantly, I enjoyed how the Museum Center's descriptive placards had an equal balance of history and facts in addition to the religious perspective. 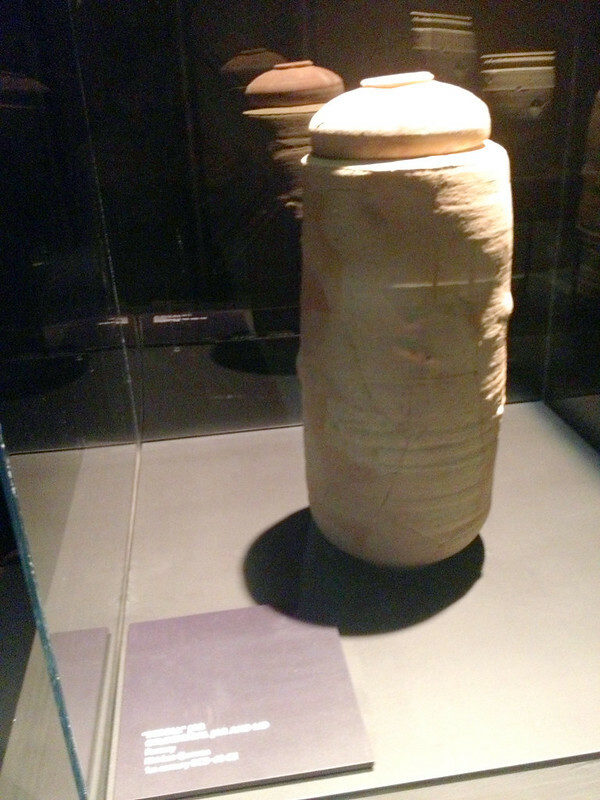 Clay jar that held some of the Dead Sea Scrolls, from 100 B.C. - 70 A.D. 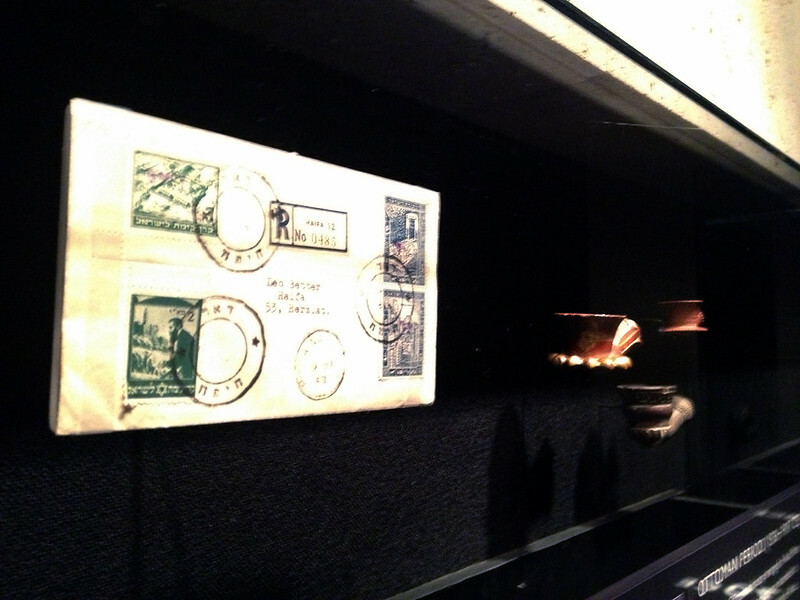 The exhibit includes an audio interview from 1947 of the merchant that purchased the scrolls from the shepherd: Kahlil Kando. He unearthed ten clay pots in a cave filled with scriptures, then sold them to the merchant for $100 a piece. 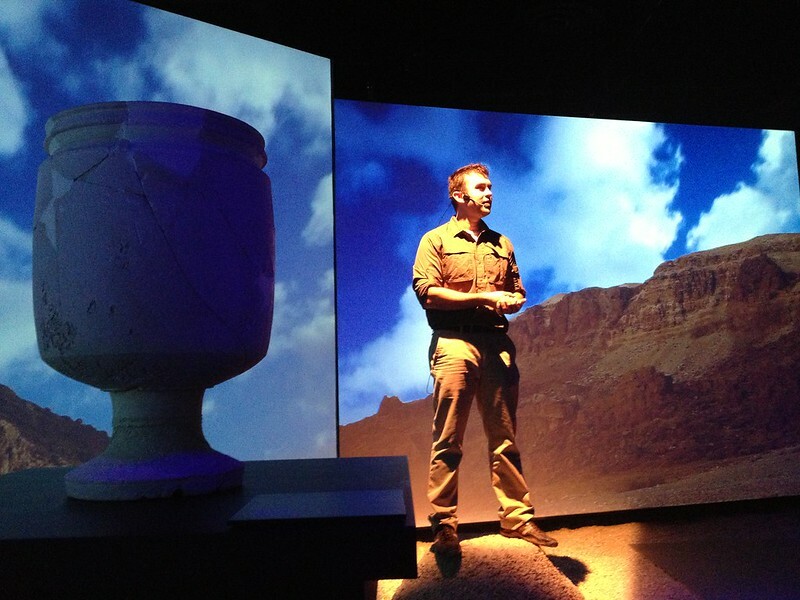 Researchers were presented with the scrolls and returned to the site to uncover the rest of the documents scatted throughout 11 caves. The most scrolls were recovered from Cave #4. 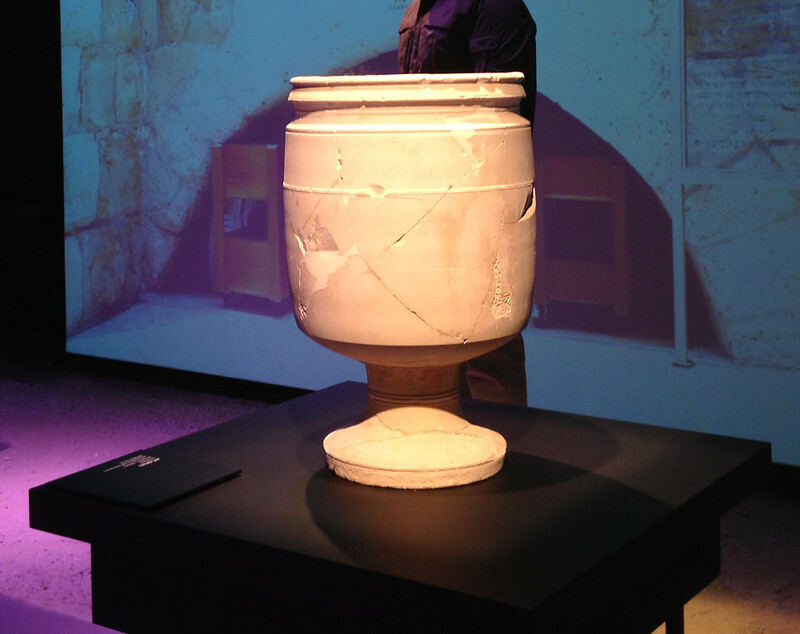 Another 2,000 year old clay pot that held the Dead Sea Scrolls. There is also a live camera feed from the Western Wall in Jerusalem, as well as a large piece of the wall. This spot is considered holy as it is where the First and Second Temples once stood before the Roman invasion. In the same area, several ossuaries were found in a tomb and have inscriptions that included the names "Jesus," "Mary," and "Joseph." Placards by the display discussed how while some believe that the tomb belonged to Jesus Christ, these names were actually very common in the Second Temple period. 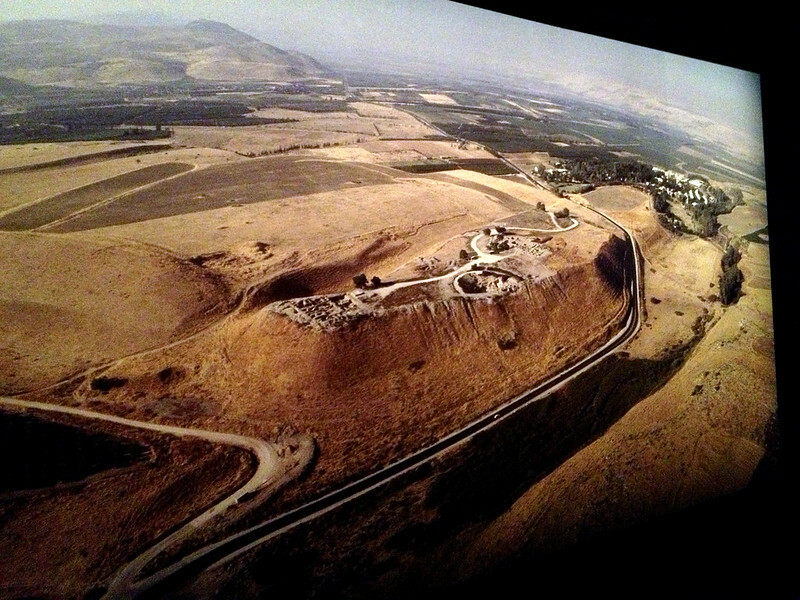 Aerial of Qumran Cave, where the scrolls were found. 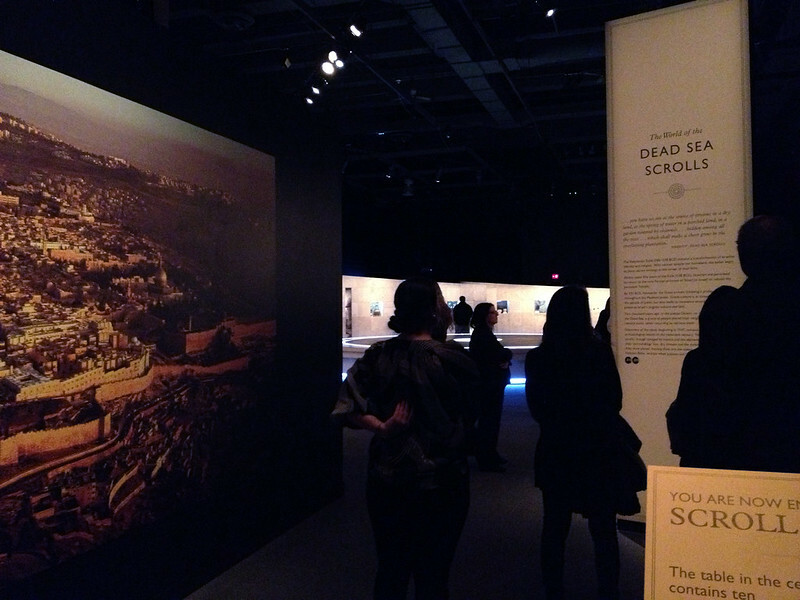 The discovery of the Dead Sea Scrolls provided an explanation for the world having more than one religion. 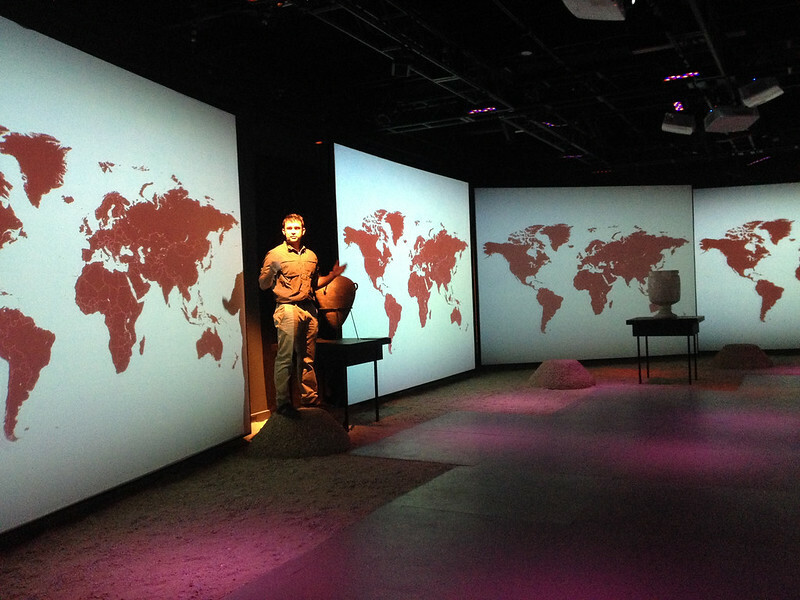 These texts showed that there were many ways of understanding Abraham, not just one. For example, the Quran contains the same history as the Old Testament. The Dead Sea Scrolls' "Daniel" excerpt is the scripture closest in origin to the Old Testament. It was written in 50 B.C., one hundred years after the composition of the original, which has never been discovered. The greatest number of scrolls feature excerpts from Psalms which includes 40 manuscripts and 51 individual Psalms written by King David. However, the text does not correspond with the Bible scripture. 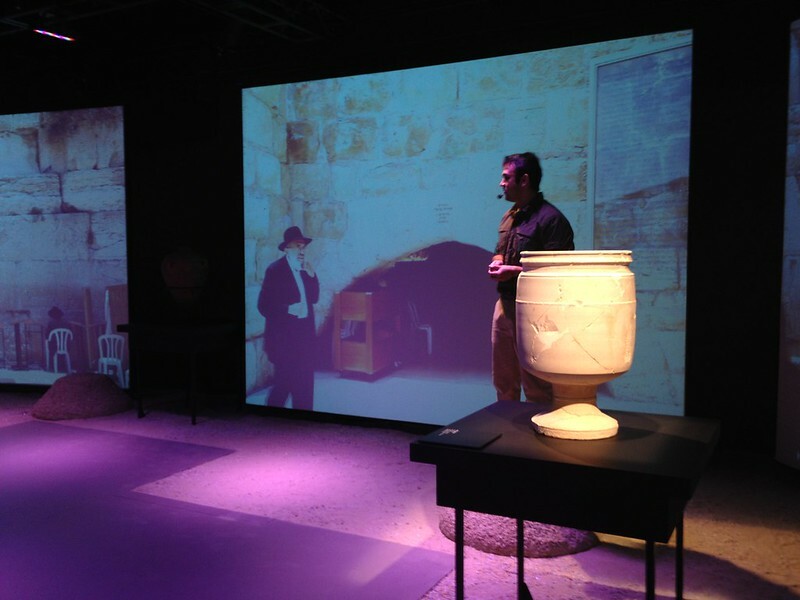 Try to spot the man on screen awkwardly wander into the shot of Jerusalem in the 360º movie room. Hint: He'll be on a screen on the left. 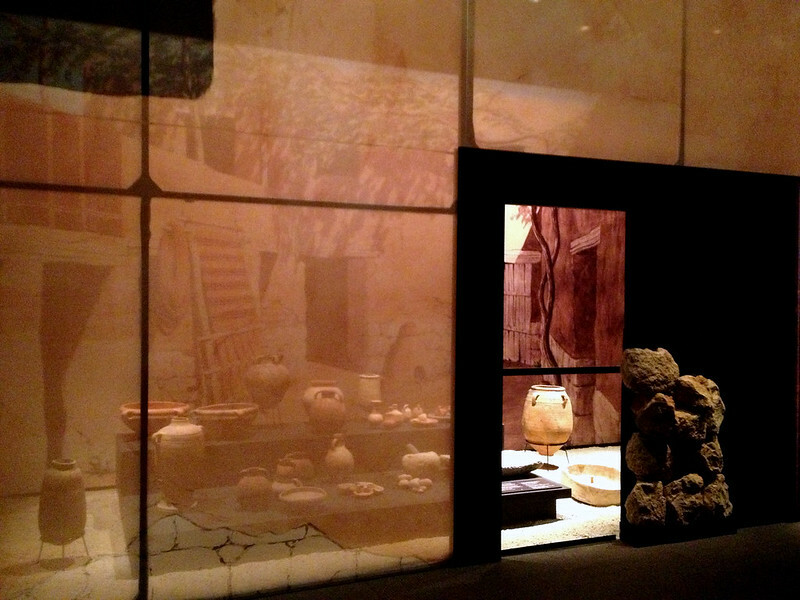 Whether you're a history buff, spiritually faithful, science-minded, or simply looking to experience something new, the Dead Sea Scrolls exhibit will be the most captivating two hours of your weekend.